Yesterday Canada was shocked by another terrorist act, the second in a few days. A gunman killed a soldier standing guard at a warmemorial. He than rushed to the parliament building. Securityofficers at the scene shot this terrorist before he could hurt more people. A black day for Canada. Below is some footage and newsreports gathered from the internet. 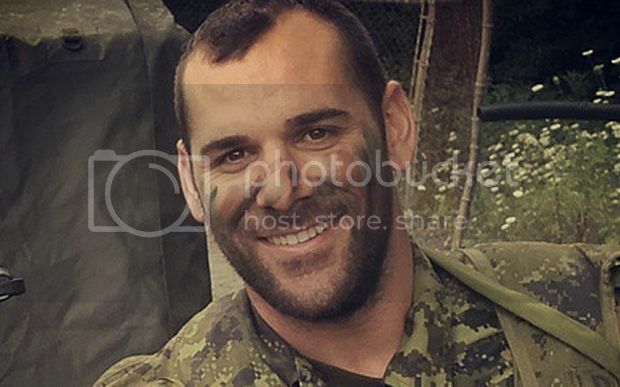 Corporal Nathan Cirillo, Argyll and Sutherland Highlander regiment Canadian armed forces. A report about him, lets not forget him! He died for our freedom, defending our way of life, our laws, our society! May he rest in piece. More about this brave soldier. The policeman who shot the killer. Watch the funeral, heartbreaking moments when the band starts Amazing grace!! Another bloody attack on our citizens, this time in Canada. A man drove into pedestrians with a white van in northern Toronto on Monday, killing 10 and injuring 15. Alek Minassian, 25, was not previously known to authorities, police said, adding that the incident appeared deliberate but no motive was clear. Mr Minassian was arrested after a tense standoff with a police officer. Canadian Prime Minister Justin Trudeau called the incident a "senseless attack and a horrific tragedy". The officer who arrested Mr Minassian was praised for not opening fire during a standoff with the suspect, who claimed to be armed and pointed an object at the officer. Investigation is underway, police are looking for a motive. So far any ties with islamic terrorism are lacking. No terror organisation has claimed responsibility either.